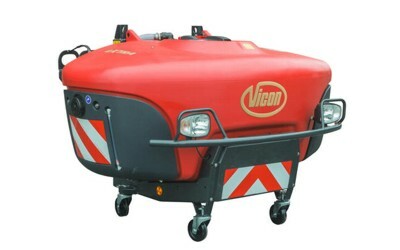 Vicon offer a range of mounted, trailed and self propelled sprayers. New to the recently updated range is the Ixdrive self propelled, and the Ixtrack T Series of trailed machines. 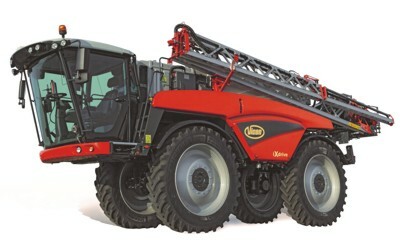 The new Vicon iXdrive 4180 is the medium model of the self propelled sprayer range. With a nominal tank volume of 3800 litres in combination with HSS steel boom from 24 up to 36 metre or the aluminium boom from 24 up to 30 metres. The iXdrive 4180 is standard equipped with the IsoMatch Tellus terminal, switch box and joystick for easy, simple, fingertip control. New compact designed trailed sprayer. Precise, Easy and Effective, with tank volumes from 2600 up to 4600 litres. Steel and aluminum boom types available from 18 up to 40 metres. The iXtrack T series are developed with focus on a short, low and compact design in combination with intelligent electronics and ease of use. Stability - The 32 degree steering angle and 3.6m turning radius makes the iXtrack T series very flexible and solid. Ease of use - The iXtrack T series are compatible for the standard ISOBUS, this makes it easy to operate, by installing and using the additional software. Precision spraying - Equipped with a smooth, suspended parallelogram. The parallelogram combines optimal stability with soft boom balancing and limited vertical movement to minimise spray height deviations. Intelligent electronics - 100% ISOBUS compatible as standard, easy plug and play with the IsoMatch Tellus GO or PRO or any other AEF certified terminal. The iXspray hardware and software with intuitive touch interface guarantee an user friendly operation. Liquid management - The position of the tanks, hoses, valves and drains is optimised to minimise rest liquid. 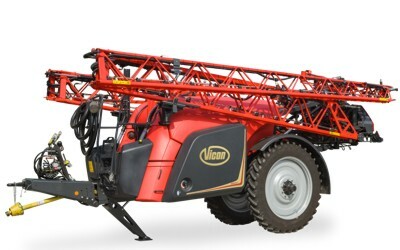 The Vicon iXter B mounted sprayer is the fruit of years of research and development in close collaboration with farmers: this is today the most advanced mounted sprayer range with focus on user friendliness and environmental protection. The iXter B range is available with four different tank volumes from 1000 up to 1800 litres and two boom alternatives (HOSA, HC) from 15 to 30m. Pumps are available with capacities of 150, 200 and 260 l/min. Liquid fertiliser resistant and capable of running dry without damage. 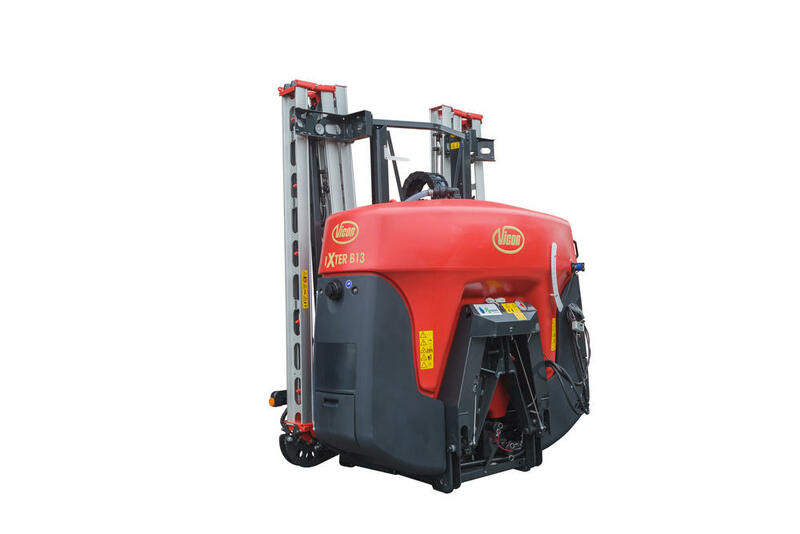 Due to the Easy Hitch quick hitch, the gravity point of the sprayer is extremely close to the tractor for a maximum weight transfer. However, the hitching operation remains quick and easy. High tech features like iXclean, IsoMatch Tellus, IsoMatch Tellus GO, IsoMatch Tellus PRO, Starguide IV, IsoMatch GEOCONTROL and a lot more features are available for more operator comfort. The iXtra front tank offers a volume of 1100 litres. In combination with the iXter mounted sprayer, the iXtra front tank provides a total volume of around 3000 litres. The innovative iXtra concept offers much more than just extra tank volume. Combined with the iXter mounted sprayer, the iXtra provides a total volume of around 3000 litres, making the iXter-iXtra combination a serious alternative to a self propelled sprayer. With tractors able to carry much higher loads on their rear linkages, the need for ballast weight on the front of the tractor is essential. With a nominal volume of more than 1100 litres, the iXtra is that front end weight adding stability to your tractor, but only when needed!